KFC India is challenging a laboratory report which found traces of bacteria such as E. coli in its chicken, indicating the presence of sewage or animal waste. How is KFC's food prepared? 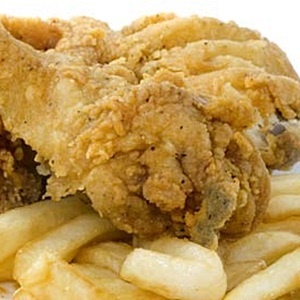 The Indian unit of fast food chain KFC, owned by Yum Brands, is challenging the results of a test showing the presence of bacteria linked to food poisoning in a sample of its fried chicken, dismissing them as "false allegations". Food safety has hit headlines in India after government food safety inspectors found excess lead in packets of Nestle's Maggi instant noodles. Read: How is KFC's food prepared? The company disputes the test results and a subsequent recall order, but it has become India's worst safety scare involving packaged food in a decade. On Friday, a children's rights group in the southern state of Telangana said it had submitted samples of KFC's fried chicken legs to the state food laboratory on June 18. The laboratory report, which was seen by Reuters, detailed traces of bacteria such as E. coli, which indicates the presence of sewage or animal waste, and salmonella. In a statement, KFC said it had not heard from any authorities and was unclear about the circumstances in which the samples were obtained. "There is no possibility of any microbial development in our food, which is freshly cooked at 170 degrees Celsius," it added, vowing to seek a clarification from the concerned authorities. Achyuta Rao, an official of APBHS, the group commissioning the tests, said it would submit a copy of the report to the office of the state's chief minister. "This is a state laboratory report," he added. "We are not against KFC or any brand. "We are a children's rights organisation."